Motul Petit Le Mans comes full circle on October 7, as the founder of the race, Don Panoz, will give the start command at the 20th anniversary as drivers begin the 10-hour battle for the top step of the podium. Panoz, a successful entrepreneur who is most widely known in the pharmaceutical field for patenting the time-release technology used in nicotine patches, bought Road Atlanta in 1996. He made major upgrades to the facility in preparation to host the inaugural Petit Le Mans in 1998. Panoz had the vision to bring top-level European-style endurance racing to North America, so he created Petit Le Mans as a sister event to the famed 24 Hours of Le Mans in La Sarthe, France. 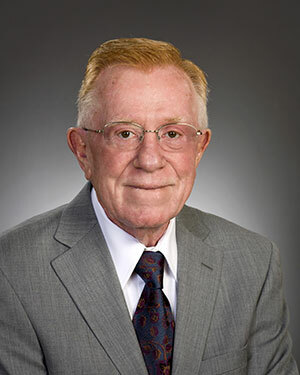 Don Panoz, in addition to owning Road Atlanta and founding Petit Le Mans, also founded the American Le Mans Series, now the IMSA WeatherTech SportsCar Championship, which will be running at this year’s 20th Anniversary Motul Petit Le Mans. DAYTONA BEACH, Fla. – One day after the official entry list was unveiled for the 20th Anniversary Motul Petit Le Mans at Road Atlanta, an additional entry came in and it’s a big one. Team Penske is bringing an ORECA LM P2 machine for a trio of IndyCar superstars: Juan Pablo Montoya, Helio Castroneves and Simon Pagenaud. Between the three of them, they own five Indianapolis 500 victories and two IndyCar championships. 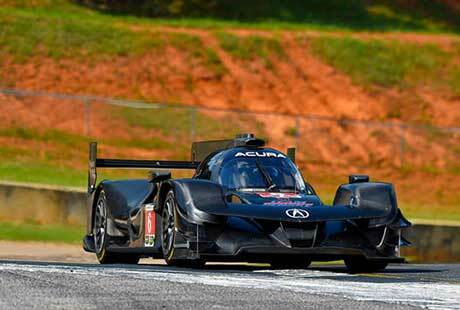 The Motul Petit Le Mans will provide a “sneak preview” of sorts for Team Penske, as the team re-enters full-time sports car competition with a two-car IMSA WeatherTech SportsCar Championship program with a pair of new Acura DPi race cars next season. The stars will be out in full force next week when the 2017 IMSA WeatherTech SportsCar Championship fires the engines for the final time this season at Road Atlanta for the 20th Anniversary Motul Petit Le Mans at Road Atlanta on Saturday, Oct. 7. Live FOX Sports coverage of the race begins at 10:30 a.m. ET on FS1 with live streaming throughout the race available on FSGO with FS1 authentication. 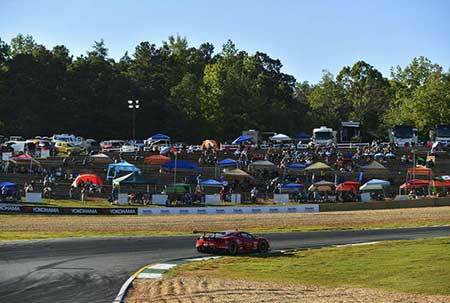 FS2 will have two Motul Petit Le Mans live television windows, the first from 11:30 a.m. to 2:30 p.m. ET and the second from 5 p.m. through the checkered flag and post-race activities ending at 9:30 p.m. ET.